Art Pals – 4th Monday 9:30 –11:30 a.m. If art is one of your passions, but you never seem to set aside the time to create a new masterpiece . . . or if you wish to explore painting, drawing, or some other form of artistic expression in the company of artistic friends, then Art Pals is for you. Past activities have also included art tours; glass blowing; art framing; a tour of a member's personal art & garden. 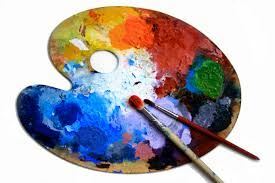 Once a month, CFUW Kanata Art Pals members convene at a member home to enjoy two hours of camaraderie and the sharing of ideas while painting or drawing a new creation. November 29 Flo Glass, Ottawa - glass balls for Christmas and Lunch downtown. 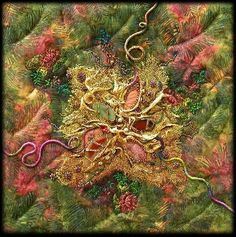 Explore the world of fibres and discover what can be created with them.... quilts, both traditional and contemporary, tapestry, embroidery, knitting, needlepoint, felting, weaving ....the list is long and the learning never stops! Members share their expertise and work on various projects. To punctuate these sessions with fun and sources of new ideas, visits to upcoming arts and craft shows are planned.